If you haven’t seen these commercials, go ahead and watch them. A little background: these ads popped up on my Smart TV while I was shamelessly binging Brooklyn 99 and cleaning my apartment. And I was literally shocked when I saw them. My jaw dropped. Are they serious? ran through my head about a thousand times. How did anyone get approval for this? I tend to agree with all of these – and then some. It’s delicious. It makes me feel good. Life is short… Just do you, whatever that is. And if you’re in the mood for a Diet Coke, have a Diet Coke. Because I can. Let’s work through the thought process here. 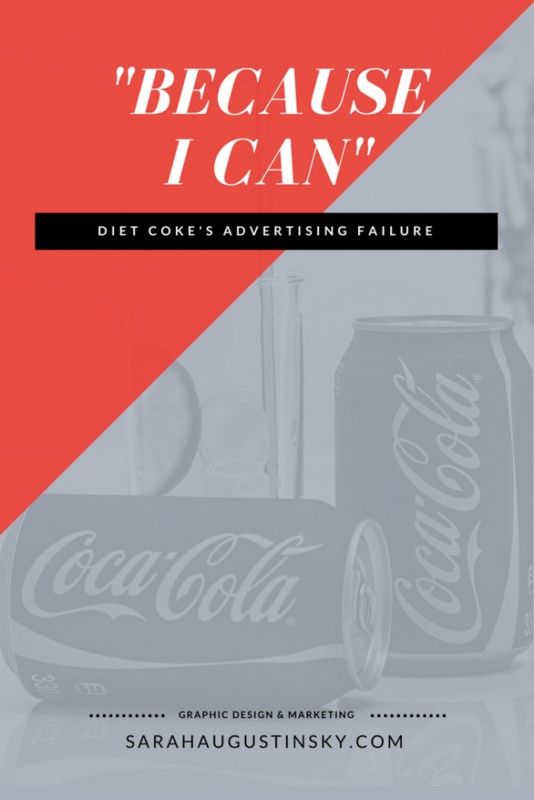 What are some of the main barriers to purchase for people who like to drink Diet Coke to buy a soda? It costs too much. I don’t need it. It’s not healthy. What response does Diet Coke offer? You do you! Life’s too short to pay attention to all the little things. Want a Coke? Drink a Coke! It’s funny because I firmly believe in this. If I want a milkshake I’m going to have a milkshake. But it’s absurd to just write off the action like the reason I should ignore the health implications of a milkshake is simply because “I can.” Nah, the reason is because I love milkshakes and I’m willing to diminish my health slightly for one. A better approach for Diet Coke? Focus on the “it makes me feel good” (that’s all the caffeine and sugar high – what about three hours later?). Focus on the new flavors – the nostalgia and the familiar flavors. Whatever you’re into, you’re into. Keep being into it. And I’ll continue to be into Diet Coke. Because I can. In my case, I should definitely skip MMA class so I can watch Lord of the Rings for the thirtieth time. I’m into Legolas and Aragorn and being a couch potato. I’m going to keep being into it. Because I can. Into the KKK? Well you do you. I mean, you’re into racism? Keep being into it. Because you can. See how silly it sounds? At it’s core, it’s a weird, misguided attempt to try to eliminate counterarguments for barrier of purchase. It’s *insert negative thought*, but do it anyways, because you can. It’s bad advertising. Not because it tastes good, not because it boosts your energy, not because you may like one of these new flavors, but because you can.